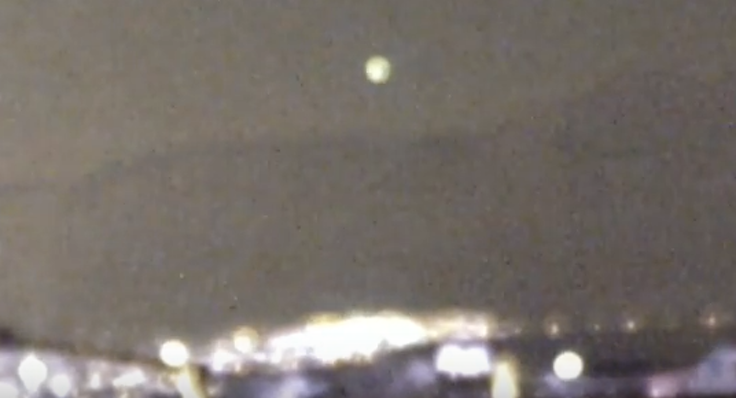 UFO SIGHTINGS DAILY: UFOs Return For Second Night In A Row Over Las Vegas, Nevada June 4, 2016, Video, UFO Sighting News. UFOs Return For Second Night In A Row Over Las Vegas, Nevada June 4, 2016, Video, UFO Sighting News. You can see a glowing UFO in the sky and a mountain in the background far below it. This UFO is clearly flying over Vegas and must have been noticed by others in the city. Vegas actually has its own US Air Force Base. This base just happens to be Nellis AFB...which has us home to a separate base inside for the Tall Whites, an alien species that looks like us 95% as children, but as adults are unusually tall and aggressive. Its a dangerous species that only wants to interact with us to have fun, not to actually know us. Yes, they have been seen entering Vegas casinos with military escorts. Lets just say...shaking the hand of a Tall White, could be the last thing you ever do. I shot this video from my backyard in the Summerlin area of Las Vegas, Nevada on the night of June 4, 2016. It was over 100 degrees while I was outside last night but it was worth staying out until this event was over. I recorded the same object I did the night before in the same location only, this time, the event cleary took place in the sky above the mountain. At times, the video makes it appear as if there was only a single object, especially the night vision camera but there were at least two objects. They were so close together they appeared to be one object. Fortunately, the camcorder was able to define two objects. They didn't go through the same routine as the night before but there was a point where they became intensely bright. The brightness seemed to ebb and wane until they finally disappeared for good.